The British royals wrapped up their commemorations of the centenary of the World War I armistice on Sunday with one more event: a service at Westminster Abbey. The location was especially fitting, as the Abbey houses the Tomb of the Unknown Warrior, an unidentified soldier who perished on a European battlefield during the First World War. 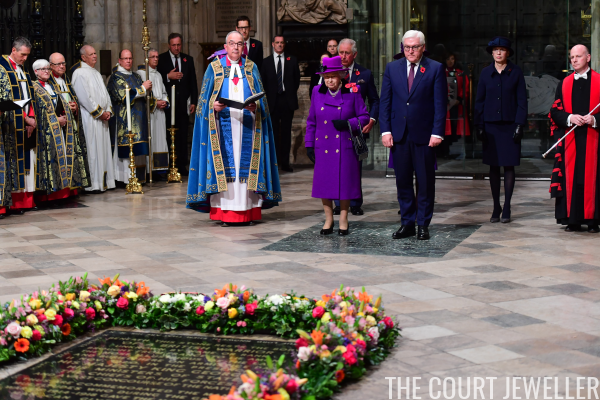 The Queen was joined by the President and First Lady of Germany for the service, demonstrating the friendship that now exists between the former foes. 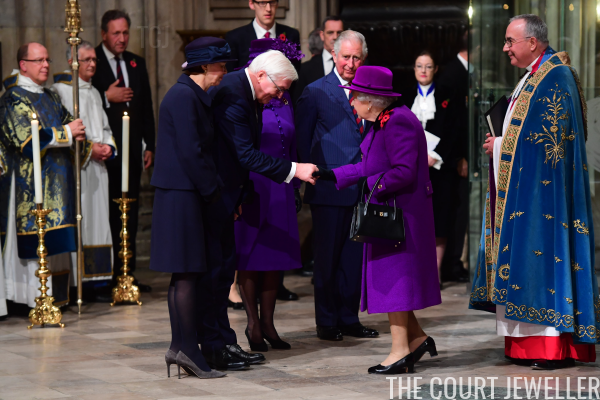 The Queen wore her usual pearl earrings and necklace for the service. She secured her poppies with the Jardine Star Brooch, which you can learn about here. 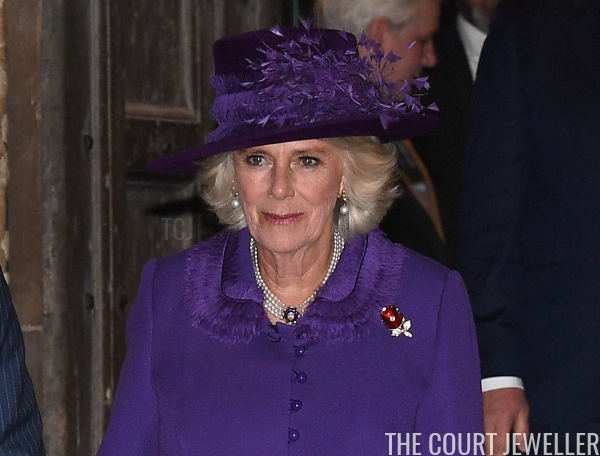 The Duchess of Cornwall also wore pearls, including her favorite pearl drop earrings and her pearl choker necklace with the gem-set clasp in shades of purple. (More on that necklace here!) 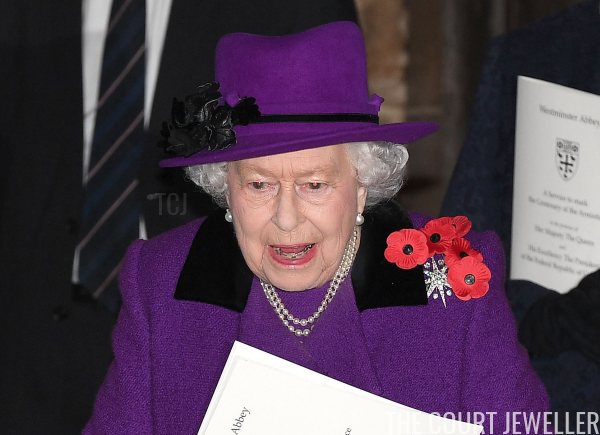 She also added a poppy brooch to her ensemble. 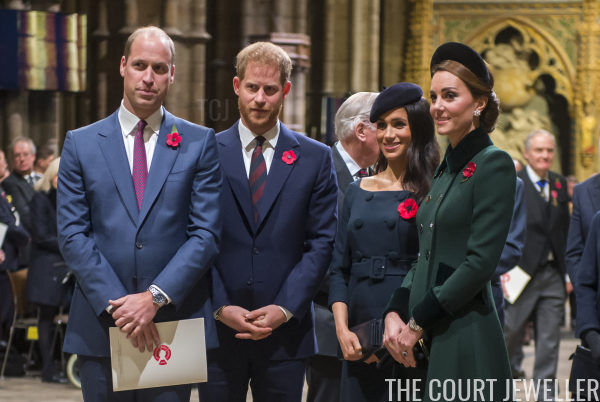 The Duke and Duchess of Cambridge and the Duke and Duchess of Sussex were also present at the Abbey for the service. Kate wore the same jewels she'd worn earlier for the commemorations at the Cenotaph: her pearl cluster earrings and poppy pin. 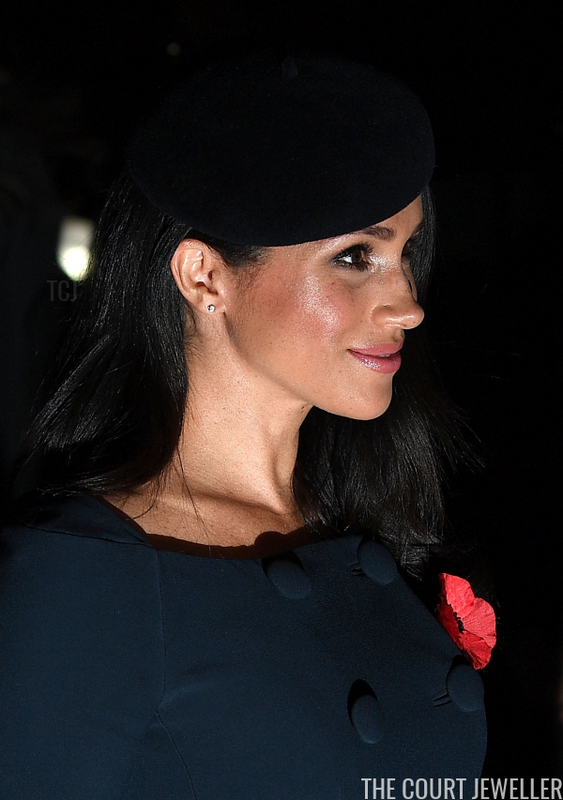 Meghan kept her jewels extremely simple, wearing only a tiny pair of stud earrings. One more woman from the royal family was in attendance for the service: the Duchess of Gloucester, who appears to have worn the badge of one of her regiments.